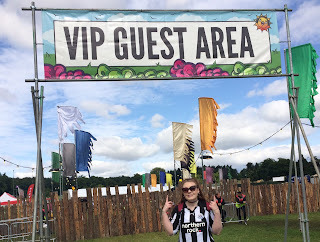 You may know, I was invited to V Festival this year - and I was soooo excited. In the end, we only managed to go for the Sunday but it was still such an amazing day from start to finish (except maybe the 6 hours of torrential rain) and I had an absolute ball. We hopped on the train from Liverpool to Stafford which only took around an hour - and when we got there, a shuttle bus was waiting. It's a tenner for a return ticket and honestly, I can't recommend it enough; the shuttle buses have their own dedicated route so there was barely any traffic, and it took around 25 minutes door to door. It meant we knew we could get to and from the festival/train station safely and without having to fork out loads and/or wait in all that festival traffic. 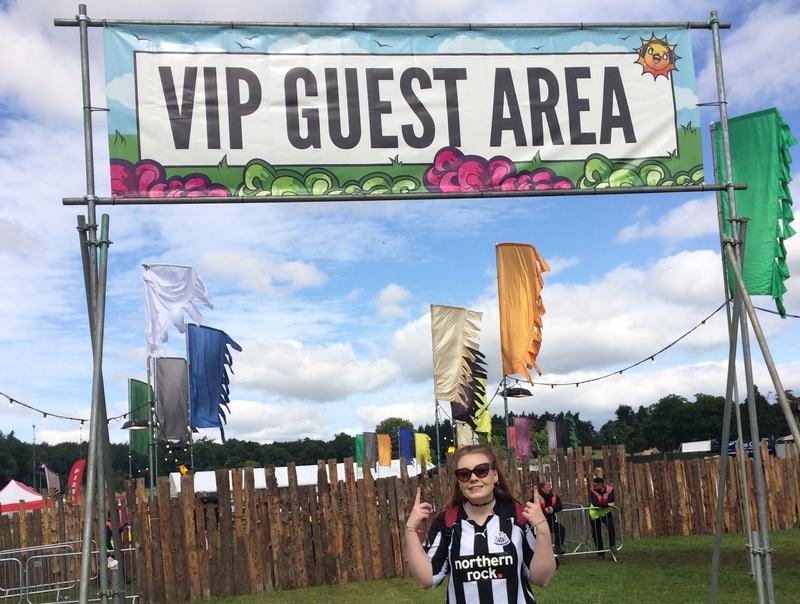 In terms of bands, we saw some decent acts; Busted surprised me by being genuinely enjoyable, and I absolutely LOVED seeing The Vamps, who are my guilty pleasure. George Ezra was stunning, but that's when the rain started and we had to find shelter in the comedy tent, where we saw some cracking acts - namely Seann Walsh and Kate Lucas, before venturing back out into the rain to see Jess Glynne, Craig David (wow) and of course, the incredible Pink. She was absolutely mesmerising to watch and everything about her performance warmed my cold, damp, shivering heart. We got a free McFlurry as part of a photo booth van thing they were running, spotted some B-list celebrities, ate some noodles, drank some warm-ish Somersby and danced like absolute maniacs - and it was absolutely wonderful. Cheers, V, thanks for having us and we'll hopefully see you next year!